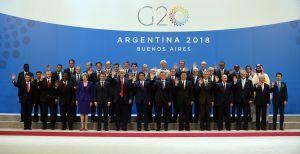 Leaders of the G20, the group of twenty largest economies, appear to have come to an agreement on the need to create an international framework to tax cryptocurrency transactions. Per an article published by a range of Japanese media outlets, including Jiji and Nicovideo, the G20 agreed that there was a clear need to take action to close tax loopholes. 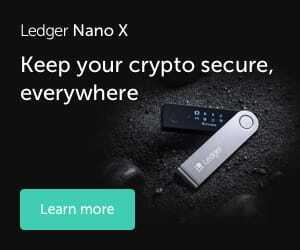 The report (which was also reposted on Yahoo Japan) states that national tax agencies are having trouble taxing companies doing cryptocurrency-related business in their countries if companies’ offices are based overseas. For instance, if a company doing business in Japan in cryptocurrencies has no Japanese office, Japanese authorities cannot tax it. Per the article, the G20 also believes that many individuals and companies are aware of such tax loopholes, and are actively exploiting them. "We will continue to work together to seek a consensus-based solution to address the impacts of the digitalization of the economy on the international tax system with an update in 2019 and a final report by 2020," the G20 leader's declaration reads. Japan is thought to be a leading advocate in pushing the G20 to take a unified stance on cryptocurrency regulations, and has called on the group to establish an internationally binding set of regulations. Japan assumes the presidency of the G20 next year and is widely expected to pursue international regulations during the course of its term. Tokyo has already imposed comprehensive cryptocurrency-related legislation, and Japanese regulators are currently considering making reforms to existing crypto tax laws. Tokyo considers cryptocurrency-related tax evasion to be a serious issue, and experts say it is looking to punish offenders severely. The G20 has also agreed on the need to regulate cryptocurrencies in line with Financial Action Task Force (FATF) standards, in order to prevent money laundering and the financing of terrorism. "We look forward to continued progress on achieving resilient non-bank financial intermediation. We will step up efforts to ensure that the potential benefits of technology in the financial sector can be realized while risks are mitigated. We will regulate crypto-assets for anti-money laundering and countering the financing of terrorism in line with FATF standards and we will consider other responses as needed," according to the declaration. As reported, more and more crypto entrepreneurs are coming to the conclusion that the crypto market must become a regulated asset class before institutions like pension funds, traditional asset managers, and Wall Street investors, will make serious moves into the market. Now, the lack of regulation in the crypto and blockchain space, especially for projects that raised funds through ICOs,is keeping even compliant projects from working. However, law is not ready to address all aspects of blockchain implementations. The regulation of the crypto world is a very complicated task, while some even doubt that it could be regulated at all. One of the main problems is the lack of clear definitions, while the tokenization of assets, competition between countries, and different regulatory approaches makes this even more challenging. In September, Bank’s for International Settlements (BIS), sometimes referred to as the “central bank of central banks,” BIS warned that international coordination is the only way to properly regulate the cryptocurrency market, due to the global nature of this new market. However, it is inevitable that some jurisdictions will accommodate blockchains and their effects in a more efficient and attractive manner than others and this competition can facilitate blockchain development, according to Anastasios A. Antoniou, member of the EU Blockchain Observatory & Forum, Policy and Framework Working Group.